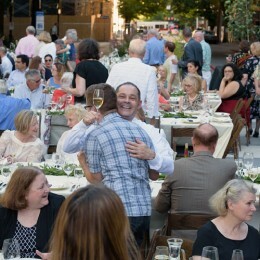 Members of the Patron Society are the Portland Art Museum’s most generous annual donors, helping more than 300,000 visitors each year to enrich their lives, spark their imaginations, and challenge their minds through the power of art. Ambitious special exhibitions and the 42,000 objects in the Museum’s collections bring the world to Portland—from ancient China and early America, from the salons of Europe to the studios of today’s international visionaries. Through their deep commitment to the Museum, members of the Patron Society have the opportunity to experience these treasures—and access the world of art—in new and exciting ways. For companies, membership in the Patron Society offers marketing benefits and hospitality opportunities. To learn more about membership for your company, click here. For more information, contact Brianna Hobbs at 503-276-4312 or brianna.hobbs@pam.org. Two membership cards offering unlimited free admission for two. 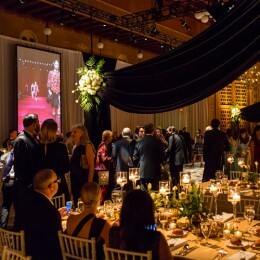 Invitations to exclusive Patron Society events, including the annual gala, exhibition previews, and behind-the-scenes tours. Customized travel opportunities to some of the world’s best public and private art collections and off-the-beaten path art destinations. View and discuss local private collections in their unique residential settings through the Art Salon series. Recognition in the Members’ Magazine, on the website, and on donor recognition screens in the Museum. Personalized service through the Development office. Six Northwest Film Center admission passes. A Family/Dual gift membership for the recipient of your choice. 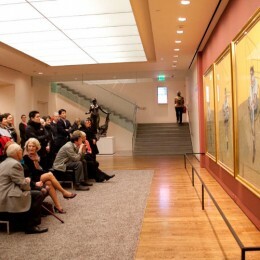 Reciprocal member privileges at other museums nationwide. 10% discount in the Museum Shop. All the benefits of basic membership including discounts on special programs and lectures, the opportunity to join an Art Council, and a subscription to the Members’ Magazine. Two Northwest Film Center Silver Screen Club memberships. Includes free admission to all films, invitations to special events, and ten guest admission passes to any regular season film. Complimentary membership in one Museum Art Council. Two elegant membership cards offering unlimited free admission for four. Priority admission to all special exhibitions. Opportunity to bring two additional guests to Patron Society events. Private docent-led tour for up to 12 people, by appointment. Enjoy special unveilings of recent acquisitions with the Director and curators. Advance notification and priority registration for trips, Art Salons, and galas. 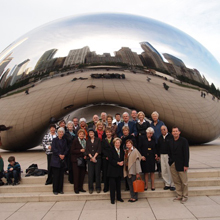 Complimentary membership in two Museum Art Councils. Complimentary parking while on the Museum’s campus. Access to the Museum on closed days, by appointment. Special access to art museums across the U.S. and Europe, by request (participating institutions vary). Travel with Director on specially curated trips. Private consultation with curators on personal art acquisition and collecting, by appointment. VIP seating at annual gala dinner. Private curator-led tour tailored to your interests for up to 12 people, by appointment. Free admission to lectures with reserved seating. on the rental fee (catering not included). Personalized service through the Director’s office. Customized travel opportunities to to some of the world’s best public and private art collections and off-the-beaten path art destinations. Private tour of the vault for up to eight people, by appointment.